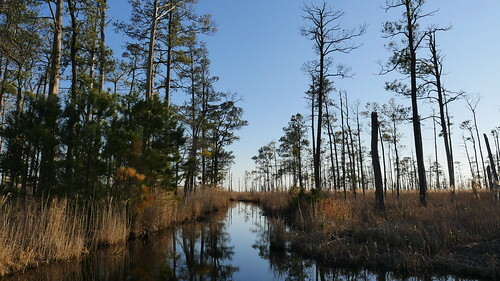 Join us for a Snakehead Fishing Derby in Dorchester County! Learn why Snakehead are harmful to the environment, how to fish for them, fillet them and cook them! This is event is free and family-friendly! and their impacts with state and federal agencies. Remove any snakeheads that are caught. Meet at Harriet Tubman Underground Railroad State Park on June 8 at 8:00 am to attend a question and answer session and a fishing demonstration prior to the derby kickoff at 9:00 am. Check-in at the staging area. ( See Map​). Snakehead should be kept and killed until weigh-in time. Prizes will be awarded to anglers who catch the biggest snakehead, heaviest bag of fish or share the most pictures of uniquely caught fish species on social media by tagging DNR Fisheries #mdnr. If an angler catches a snakehead, then the snakehead should not be released alive. The angler is welcome to take the fish home with them to eat or donate them at the derby. Possession of other fish species as fishing regulations​ permit. Prize for Heaviest Fish - Hat and Framed photo of a perch (donated by U.S. 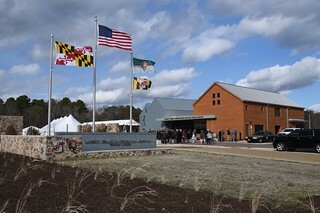 Fish and Wildlife Service and Maryland Department of Natural Resources). Prize for Biggest Bag - Park Passport (donated by Maryland Department of Natural Resources, Parks Department). Accommodations for individuals with disabilities will be provided upon request. Seven days advance notice is requested.​ Limited fishing gear may be available to borrow.